Incorporating greenery and foliage in a bridal bouquet is not only trendy but a good way of adding balance to your arrangement. Greenery can be used to enhance the texture, colour, scent, shape, elegance and meaning of your bouquet. Another advantage of using foliage is that they are generally cheaper than flowers. You can choose to go all green or blend in a few filler stems with your chosen blooms. Here are 13 of the top choices for greenery that you can add to your wedding bouquet. Also called Bells of Ireland, this filler greenery is great for enhancing the texture of your bouquet and at the same time adding vertical height to the arrangement. The green leaves of this plant have a velvet-like feel and blend well with Peonies, Roses and other flowers with heavy petals. The rich ever green colour of this greenery is a great way of incorporating nature into your bouquet. They also add texture and grace to the bundle. 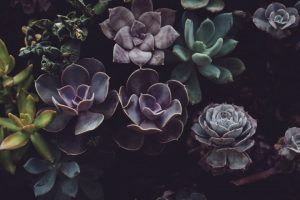 The best thing about ferns is that you can find them in varied forms and all that you have to do is to choose the species that meets your needs. The flower depicts elegant contrast with its tiny white blooms against broad green leaves. It is a great filler flower choice for small and alternative bouquet. The use of the plant for weddings started with the Hebrews and it is one of the centrepieces in royal bridal bouquets. The shrubby look of the foliage and its rich green coloured leaves is a great way of adding height and weight to your arrangement. The loose and flowing appearance of the Ivy will give your bouquet colour, rhythm, shape and breadth. 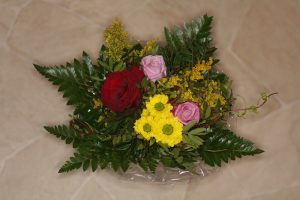 It complements almost every flower and can suit any arrangement. They are a perfect way of enhancing the visual appeal of your bouquet and can complement red, purple, orange, pink and yellow blooms. They also give the arrangement a fresh look, weight and shape. They are not only trendy but naturally sophisticated as well. The plant is good for adding dimension, vibrance, movement and a cascading look to your bouquet. You can blend air plants with any bloom and they are suitable for both small and big arrangements. Adding Eucalyptus leaves into your bouquet is a great way of enhancing its texture, height, volume and colour. For a rougher feel and a more natural look, you can use seeded eucalyptus. The natural sweet scent of the plant will also keep you feeling fresh all through your big day. They come in a wide variety and are a perfect choice when you need texture, volume, colour and height for your bouquet. They are a symbol of pride and hence you can incorporate them into your bundle to enhance its grace. These are a perfect filler flower for bouquets and besides giving it a more natural look they add a dimension of height as well. The flower can be used to complement blooms of any colour, add a certain theme or be used to complement the main theme. 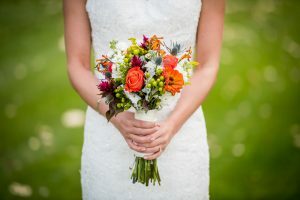 The plant is an awesome choice for a filler and greenery in a bridal bouquet. It enhances the cascading appearance of the arrangement and gives it a subtle texture. 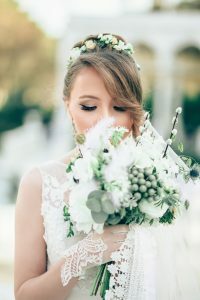 The small green berries on firm and woody stems are an artistic way of achieving style and also for adding a vertical dimension with your bouquet. Their overflowing appearance when paired with other blooms gives your arrangement a more vibrant feel. 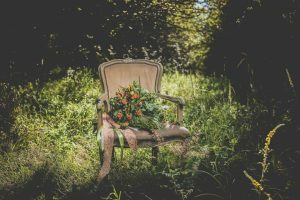 There are plenty of other ways to incorporate greenery into your bouquet but these are our favourite. Remember, you don’t just have to have a bouquet of roses, foliage is as beautiful as any flower as well!